The Association for Conflict Resolution honored us with its 2016 Achievement Award for our commitment to finding creative ways to resolve conflicts. Among other things, the Association highlighted the Crown Heights Community Mediation Center, our efforts to promote peacemaking, and our work with parolees at the Harlem Reentry Court. When it was my time to speak, I talked about how much inspiration we took in the early days of the Center from restorative justice, community mediation, and other forms of alternative dispute resolution. 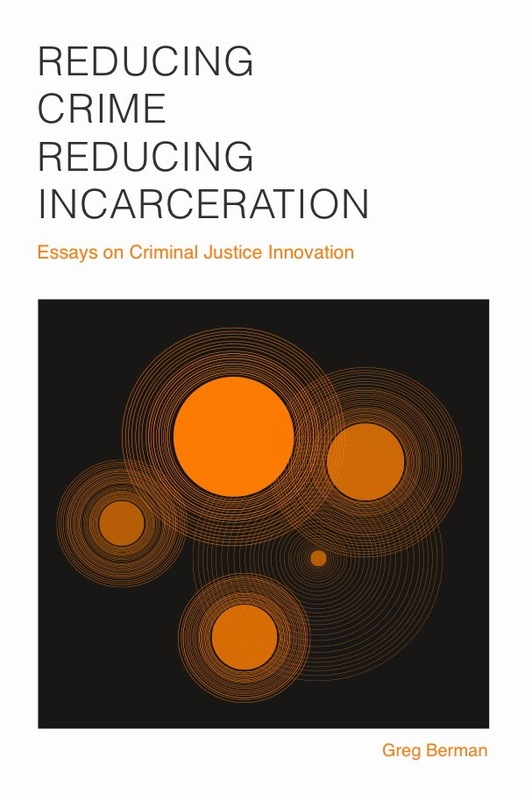 Indeed, many of the hallmarks of the Center -- a willingness to rethink the adversarial process, a commitment to treating individuals with dignity and respect, an emphasis on engaging the public in doing justice -- can be traced back to the alternative dispute resolution movement. 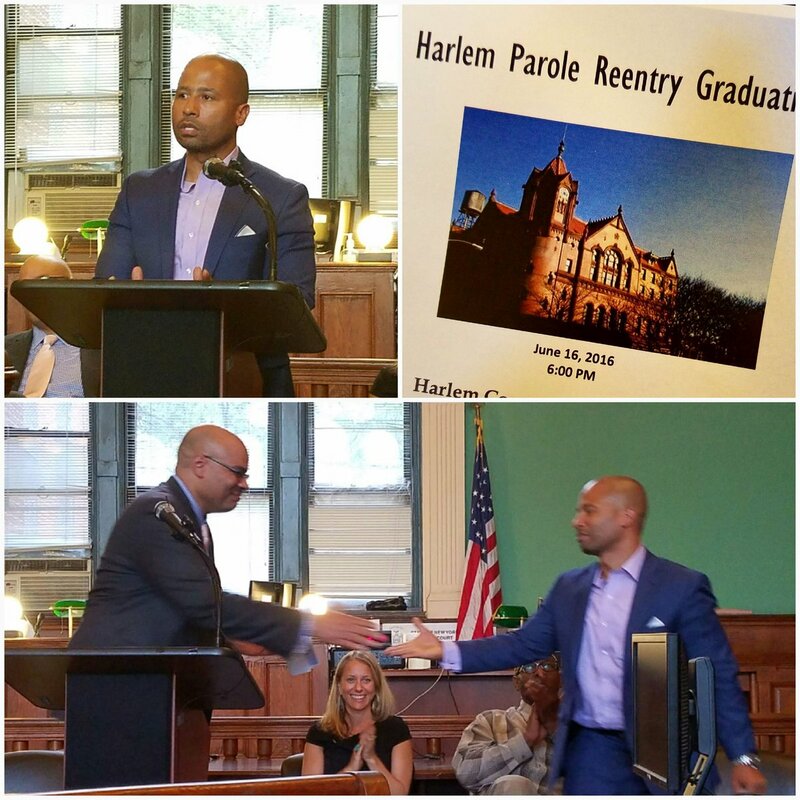 Speaking of the Reentry Court, tonight was another successful graduation ceremony for parolees in Harlem, highlighted by a keynote speech from Glenn Martin of JustLeadership USA. 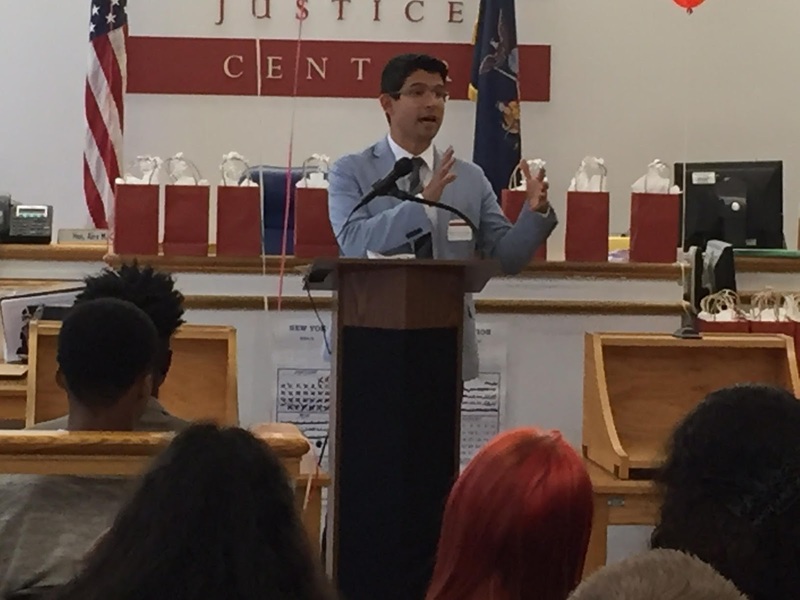 Meanwhile, in Red Hook, we hosted a graduation ceremony for the Red Hook Youth Court with a guest appearance by City Council Member Carlos Menchaca. The event also honored the Target Corporation for its work to promote innovative public safety partnerships. 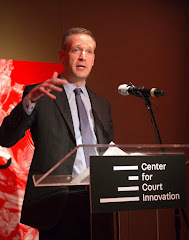 Finally, there was a farewell gathering today for Patricia Henry, who has been a friend to the Center for Court Innovation for almost the entire history of the organization. 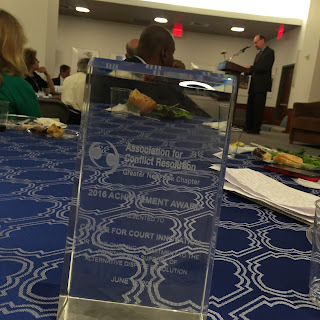 Over the years, Pat has held numerous positions of influence, including stints in the NYC Criminal Justice Coordinator's Office and the Office of Court Administration, and years on the bench as a judge, including her work at the Brooklyn Integrated Domestic Violence Court. In all of these roles, Pat worked hard to do the right thing. And she did it with smarts and a keen sense of humor. She was also unflappable. 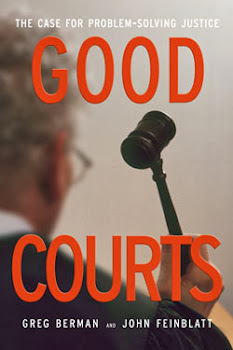 I experienced this first-hand when I flew out to Reno with her for an event convened by the National Judicial College. We missed our connection and ended up taking a small plane late at night. The crew announced before the flight took off that there would be no food service and no bathroom usage due to extreme turbulence. As the plane bounced around in the midst of a thunderstorm, I must admit that I was on the brink of panic. I didn't want Pat to see me in a state of high anxiety so I avoided eye contact with her until we took a particularly big lurch. At that point, I felt I had no choice but to look over to check in on her. I needn't have worried: Pat was sleeping like a baby. She is one cool customer. We'll miss her.